In this 5 minute masterclass we’re going talk about the second scale degree dominant, the 5 of 5, and it’s different functions. I wanted to do a short masterclass about this topic just because this very common harmonic movement keeps coming up in almost all the other courses, and I want to make sure everyone understands what it means. We will look at the function of the descending b3 diminished chord in a situation like Em7 – Ebdim7 – Dm7 – G7 and discover how it relates to a secondary dominant. At first glance, the Ebdim7 doesn’t appear to have a clear dominant function to the Dm7 but, looking closer, the Ebdim7 has close ties to D7, the secondary dominant in this progression. Secondary dominants are used often in jazz standards and we will look at some examples including "Take the A Train", "But Not For Me" and "Smoke Gets In Your Eyes". Approaches to improvisation are also discussed including various possible substitutions and re-harmonisations. This type of passing chord is a dominant chord built a half step up. Dominant chords always have a strong pull to resolve a half step down. 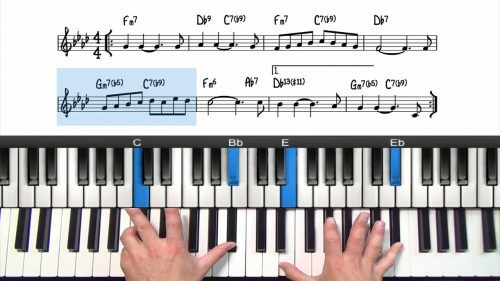 Identify secondary dominants and their variations in tunes that you know and when you learn new songs. 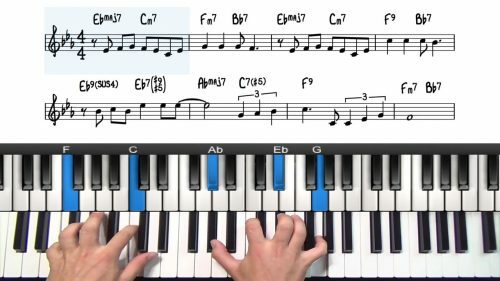 Practice using a secondary dominant as a substitution for a regular 2-5-1, in tunes where the melody allows and when improvising. 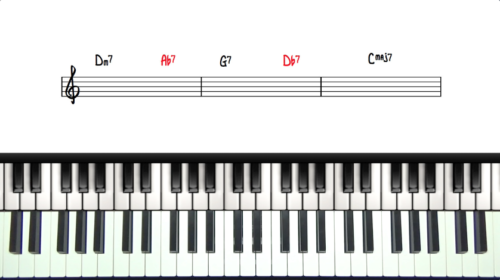 Improvise on a tune, using one of the secondary dominant variations as a substitution for every 2-5 progression in the tune.